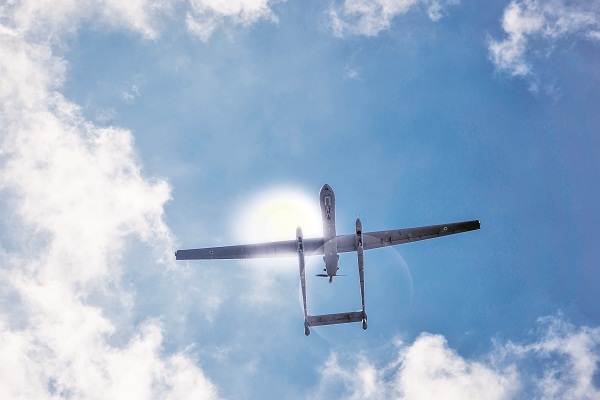 In the past few years, UAVs have been escorting and assisting the IDF’s infantry and artillery brigades in order to contribute to the optimal execution of their missions. The division personnel say that it isn’t assistance but partnership, because the UAV is an integral part in the execution of the mission. “We scan wide areas and identify threats that could endanger the ground forces: hostile armed forces, IED planters, lookouts and ambushes. All of the intel and information we gather is passed down to the forces in the field”, explains Maj. Amit, First Deputy Commander of the “First UAV” Squadron, which operates the “Shoval” (Heron 1) UAV. “When you perform this mission, you save lives. You see anything that might endanger the forces, alert them ahead of time and know that thanks to you, the soldiers won’t be hurt”, added Maj. Liran, First Deputy Commander of the a UAV Squadron that operates the Hermes 450 and “Kochav” (Hermes 900) UAVs. “If a UAV escorts a ground force properly, it will optimally create a scenario in which the ground force won’t encounter any enemies and won’t fire any bullets”. “The UAVs make sure that the enemy is far enough from our combatants and that when attacking it, we will not injure IDF soldiers, they ‘clean’ the targets that the IDF is about to attack and make sure that there are no uninvolved civilians in the area. The UAV will also document the attack site in order to properly understand its outcome”, specifies Maj. Regev, Head of the UAV Section in the Air Support Department. “The idea is that you have a hunter in the sky that spends many hours above, while its operators develop their expertise in the arena and the mission. 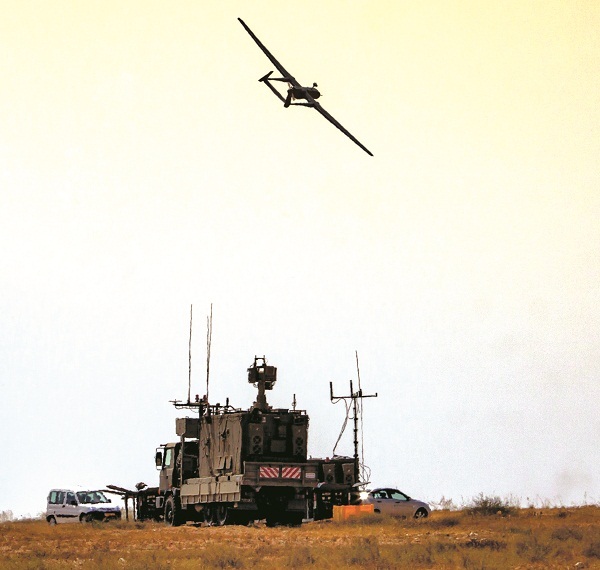 This stands in contradiction with other aerial divisions that perform their missions in a defined time and do not spend extended periods of time above the force”, explained Maj. Yair, former First Deputy Commander a UAV Squadron, who currently serves in the Gaza Division HQ, where he is responsible for the UAV Division’s activity in special missions. The UAVs fly above the force and create an intelligence report, which is then communicated to the Command Post and from it to the force on the ground. If the force has operational requests it wants the UAV to perform, it communicates it to the Command Post, which in turn updates the operators in the mission station. A shortened process, which promotes direct communication between the force and the mission station is being partially implemented in the “Shoval” Platform and was tested in a Brigade Exercise in which the squadron participated. 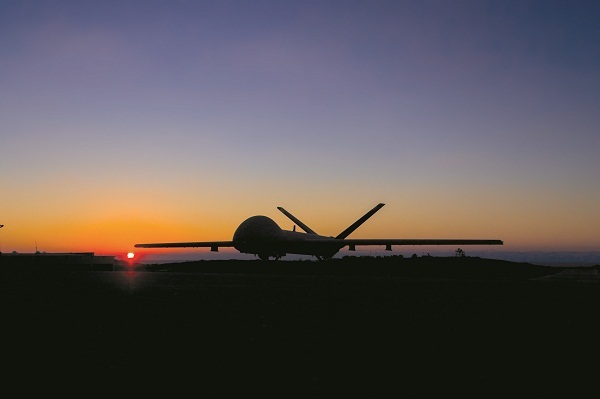 UAV operators routinely study the ground force’s orders and combat doctrines. “One of the unique things about our activity that sets us apart from other aircraft is our operational flexibility. We can start a mission in a certain arena and find ourselves in a different mission in a different arena an hour later, while assisting a different brigade. This is why comprehensive knowledge of all arenas among our personnel is of utmost importance to us. We know what mission we are flying into, but we cannot know what we will be required to do for the duration of the sortie”, explained Maj. Liran. “The payloads contain day & night cameras that scan large areas in high resolution. Some of them broadcast the image in real time and in some the products are recorded and unloaded after the sortie”, said Lt. Col. Haim, Head of the UAV Branch in the Material Directorate. “When we are required to follow individuals, they might walk under a net and we would have trouble seeing them in the surveillance system. This is why we have an infra-red based night vision configuration which detects body heat from beyond the barrier and lets us see them”, said Maj. Liran. 2014 Operation “Protective Edge”. A “Shoval” UAV took off for a mission when its operators identified unusual activity in the arena. Suddenly, a number of armed attackers burst out of what would later be identified as an underground tunnel. Ground and aerial forces are scrambled to the area by the operators in the mission station and neutralize the threat. “We were able to contain the incident and prevent the enemy forces from arriving at their target”, said Lt. Col. Shay, who was the Commander of the “First UAV” Squadron during the operation. The operation unequivocally clarified the importance of the mission. “I remember conversations with the Central Command Commander and the Division Commanders, in which they described how the UAV Division was in practice an additional force that operated beside them, shoulder to shoulder, that was able to respond to their needs and that helped them perform their missions. The squadron underwent a significant process in the operation in the aspect of integration in the assistance mission, while implementing conclusions from the past”, shared Lt. Col. Shay. “In the years before the operation, we were mostly occupied with learning and bettering our abilities and in Operation ‘Protective Edge’ we reaped the fruits of that work”, added Maj. Amit. “The forces have understood our abilities, so today, their requests are more extensive. They want us with them”, clarified Maj. Segev. Lt. Col. Shay added: “Today, there is no brigade that wouldn’t want a UAV above it in combat. The ground forces are our brothers and sisters, our friends, we are all partners in the same mission. The mission requires a deep acquaintance, preliminary knowledge of the battle program and mutual work throughout the year. Because the minute we step into the battlefield, we will operate as one, combined and sharp and we will execute the mission of protecting our home”.